Once the process has been completed and you have become a member (vendor)... the Vendor Handbook outlines the Rules and Guidelines that must be followed by vendors. Along with general market rules, each market also has specific requirements. 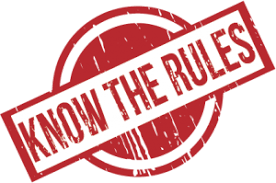 Owners AND their employees must be familiar with market rules to avoid infraction fines.